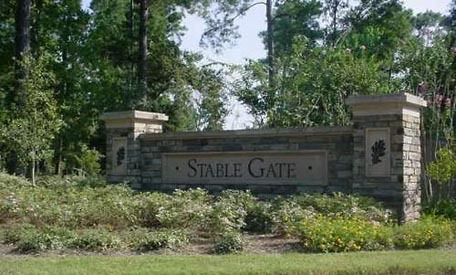 The Stable Gate Homeowners Association, located in the beautiful rural town of Cypress, was established in 2000 and has recently completed development. This beautiful gated community of 230 homes features a large lake in the center of the community with most homes situated around the lake. In addition the community also features a stable area for residents to house their horses along with a parking/storage facility and a natural preserve trails area. The community has only been under homeowner control for the past three years and those three years have been spent well by current and former board members. They have worked very hard to form various committees. One example is the Finance Committee which reviews existing contracts, assists with the bidding process and selection of various contractors and generally assists the board with all financial management concerns. The Bylaws Committee was formed almost three years ago and given the task of creating ARC “Architectural Review” guidelines. It took almost two years but the guidelines were finally completed and have been provided to each owner. The website committee is working hard to update the website and attract the residents to visit this site to obtain useful community information. This community has many wonderful volunteers who have chosen to serve their community and ensure that they are headed in a positive direction. New this year was the formation of a Work Force Committee of volunteer handy men and women to undertake small projects which to date have saved the community over $6,000.00. C.I.A. Services, Inc. is very proud to be Stable Gate’s management partner and looks forward to many more years and a wonderful working relationship. Congratulations to the Board members, residents and volunteers of Stable Gate Homeowners Association for all the hard work you do to make your community one of the best!